What if LinkedIn endorsements would have real value? Since LinkedIn rolled out their feature of endorsements in 2012, more than 10 billion endorsements have been shared between connections. As anyone can endorse anyone else (or yourself) for just about anything, this has resulted in a wide range of skills and expertise. Some of which are pretty strange and the result of an ongoing online prank of ‘endorsement bombing’ (endorsing people for nonsensical skills). We are open to the suggestion that skills like ‘putting out fires’ and yes, even ‘cat herding’ could be valuable in some situations. But since when did ‘Zombies’, ‘North Korea’, or ‘Gorilla’ became skills? And we don’t even want to know what skills are involved in ‘Paranormal romance'. It came to the point that working with this overload of skills & endorsements had become a skill on his own. With this in mind, LinkedIn recently did an update on this feature. They didn’t restrict the type of skills you can add, but they implemented algorithms to make the endorsements ‘smarter’ and are now highlighting skills that are most relevant and matter the most to the viewer. Smart thinking. Because that way they kept their users happy with an open field for any kind of skill endorsement, without disturbing profile viewers with a mess of skills on people’s profiles. When algorithms will further evolve, this will only get better and better. The concept of endorsements in a social network has a lot of potential, but we believe there are some things lacking to fulfill this potential to its fullest. Essentially, LinkedIn endorsements are now being used as a crowdsourced profile tagging system. Users can tag (and promote) their and other users profile with all kind of skills. Recruiters can search those tags and skills in order to more easily find the right people for their jobs. LinkedIn claims that people with at least five skills listed on their profile receive up to 17x more profile views and as a result get more job opportunities. So both recruiters and users are happy, and yes even the endorsement bombers stay happy. But there are things to improve in a system based on getting the most profile views and finding people via tags or keywords. Improvements on the value, quality, relevance, evidence and authentication of those skills to name but a few. Can we imagine a situation where a university would certify that each endorsement from their institution on an Linkedin profile would be formally backed up with the same value, evidence and power a diploma or certificate has now? First of all, established institutions like universities don’t always want to give this kind of leverage to private companies like Linkedin and are not willing to share authentic diploma information, which is understandable. End of story? What are Open Badges you ask? Open Badges were initiated by Mozilla in 2012 and come from the field of lifelong learning. They are visual tokens of achievement, affiliation, authorization, or other trust relationship sharable across the web. Open Badges uses Linked Open Data to get a rich and linked set of information. They are verifiable, stackable and portable across platforms and not linked to 1 vendor. 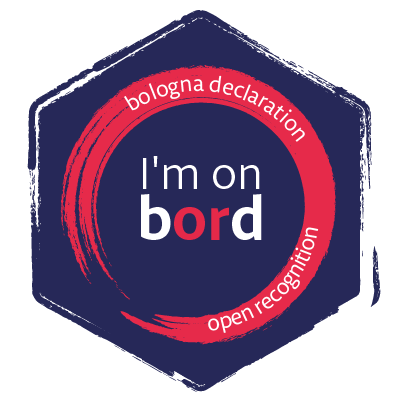 In Belgium Be Badges was launched by Selor as a local Belgian initiative to promote Open Badges. And got quickly adopted and used by Selor itself, Odisee, Jobpunt Vlaanderen, the City of Ghent, hackathons, coding camps & others. For example, Jobpunt (HR agency for the Flemish public sector) partnered with Selor (selection office of the Belgian government) & used their certified selection test-data (‘proven skills’) issued to candidates via ‘open badges’. Candidates (positively) tested by Selor were then exempted from (parts of) selection procedures organized by Jobpunt for the city of Ghent. The advantages are numerous: candidates/job seekers don’t have to retake same tests & assessments, organizations can optimize their procedures (& save money) and talent mobility increases on the labour market. Want to find out more about Open Recognition and Open Badges? Join us at our workshop at Open Belgium 2017 and join the discussion. Since we want everyone on board, remove barriers for a wider adoption and would like to avoid it being a workshop with only enthusiasts: we will be giving recognition (and a badge!) to the best critical argument against this concept of Open Recognition. We may regret it afterwards but our main aim is to be fully open up and encourage critical thinking!